Transistor radios…beaches…the warmth of the sun…crashing waves…Chicago? Yup! 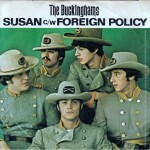 Digging a little bit deeper than the singles also proves rewarding with some great would-have-been, should-have-been hits from their albums like “You Don’t Care,” “Back In Love Again,” “Where Did You Come From,” “It’s A Beautiful Day (For Lovin’)” and “Difference Of Opinion,” that all feature the group’s trademark baroque horn arrangements and layered harmonies. The group formed in 1966 as The Pulsations with members Carl Giammarese on guitar, Nick Fortuna on bass, Dennis Miccolis on keyboards and John Poulos on drums. After winning a battle of the bands, they found themselves on WGN, a local Chicago TV station, as the house band for the All Time Hits TV show. It was then they adopted The Buckinghams name to fit in with the British Invasion groups who were all the rage on the charts at the time. A record contract with Columbia Records (the big time!) followed and a new producer, James William Guercio, who had been the bassist and road manager for Chad & Jeremy. (Fun fact: Guercio was also once a member of The Mothers Of Invention prior to the recording of their first album, Freak Out.) Around this time Miccolis left the band and was replaced by Marty Grebb. 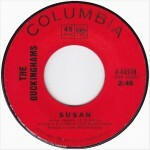 “Susan” is a pure pop radio gem that suddenly takes a left turn and goes all “A Day In The Life” wonky in the center section, complete with a psychedelic orchestral build-up placed there to remind the public that The Buckinghams really were hip. The group was dead set against it, but Guercio prevailed, causing an irreversible rift between group and producer. The song originally appeared on their third album called Portraits. 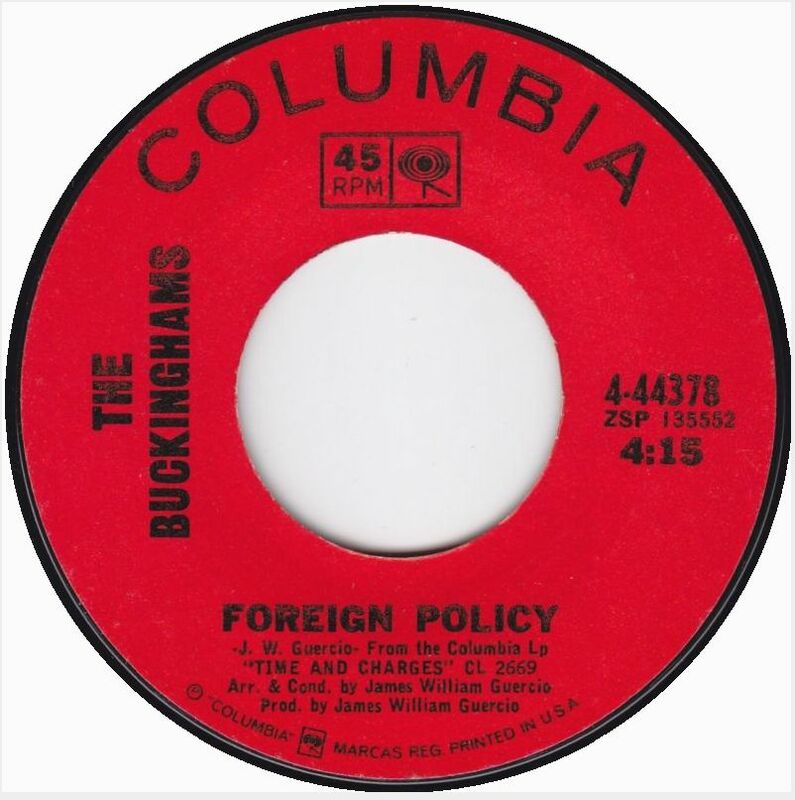 The flip of today’s single is a far out Guercio original called “Foreign Policy” that is one of the group’s social statement recordings that features a sample of a JFK speech. It’s certainly of its time and was perfect album track fodder from their second album Time & Changes. With Guercio out of the picture, the group was unable to repeat any of the chart success they previously had, and they finally called it a day in 1970. Carl Giammarese and Nick Fortuna revived the Buckinghams in 1982 and continue to tour on the oldies set to this day. 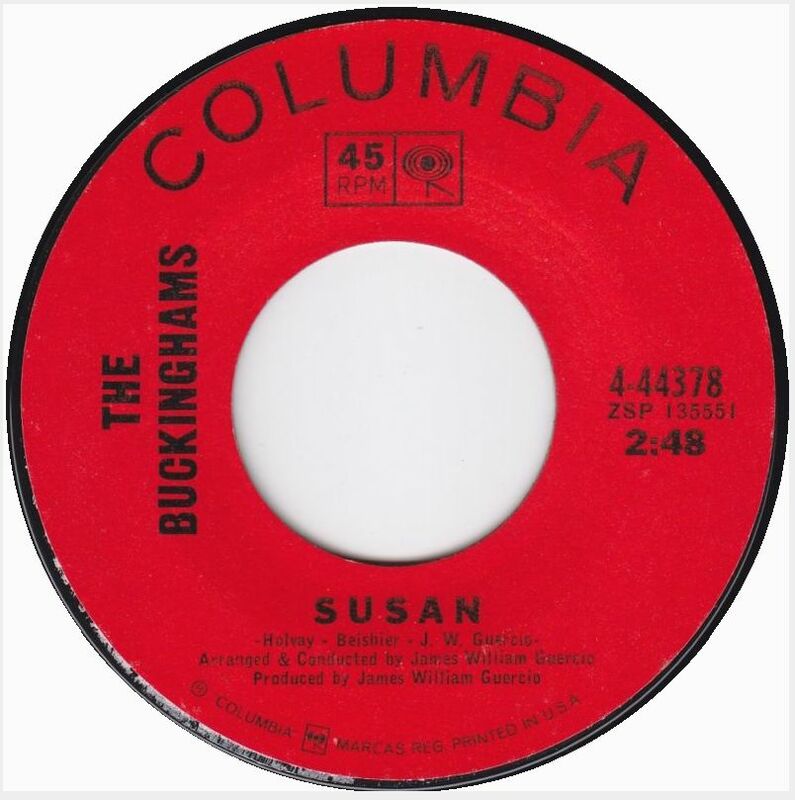 “Susan” is a pure pop radio gem that suddenly takes a left turn and goes all “A Day In The Life” wonky in the center section, complete with a psychedelic orchestral buildup placed there to remind the public that The Buckinghams really were hip. The group was dead set against it, but Guercio prevailed, causing an irreversible rift between group and producer. 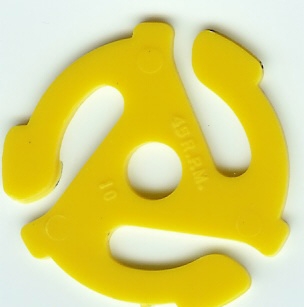 The song originally appeared on their third album called Portraits. The Bucking hams were the epitome of 1960s sunshine pop with their perfect blend of warm harmonies and sophisticated horn-drenched productions. Their sound was more akin to California than their native Chicago, and they were responsible for a string of perfect pop singles during the late sixties like the number one hit “Kind Of A Drag,” “Lawdy Miss Clawdy,” the sublime “Don’t You Care,” “Mercy, Mercy, Mercy,” “Hey Baby, They’re Playing Our Song” and today’s Song Of The Day. Digging a little bit deeper than the singles also proved rewarding with some great would-have-been, should-have-been hits from their albums like “You Don’t Care,” “Back In Love Again,” “Where Did You Come From,” “It’s A Beautiful Day (For Lovin’)” and “Difference Of Opinion,” that all feature the group’s trademark baroque horn arrangements and layered harmonies. The group formed in 1966 as The Pulsations with members Carl Giammarese on guitar, Nick Fortuna on bass, Dennis Miccolis on keyboards and John Poulos on drums. After winning a battle of the bands, they found themselves on WGN, a local Chicago TV station, as the house band for the show All Time Hits. 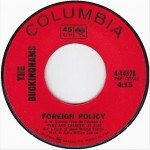 It was then they adopted The Buckinghams name to fit in with the British Invasion groups who were all the rage on the charts at the time. “Susan” is a pure pop radio gem that suddenly takes a left turn and goes all “A Day In The Life” wonky in the center section, complete with a psychedelic orchestral buildup placed there to remind the public that The Buckinghams were really hip. The group was dead set against it, but Guercio prevailed, causing an irreversible rift between group and producer. With Guercio out of the picture, the group were unable to repeat any of the chart success they previously had, and they finally called it a day in 1970. Carl Giammarese and Nick Fortuna have since revived the Buckinghams in 1982 and continue touring full-time again. Great mono single mix on the video!